Just as 12 of the most glorious e-sport teams from around the world band together to compete in the Overwatch League, Twitch has announced a multi-million dollar deal with Overwatch publisher Activision-Blizzard to broadcast all of the league matches live. The two-year-long deal, which is said to weigh in at more $90 million, gives Twitch the exclusive rights to stream every match in the first two seasons of the Overwatch League throughout the world in English, Korean, and French languages. Twitch will stream all the action from the major weekly matches while others will be broadcast on Activision-Blizzard’s own platform – Major League Gaming – which hosted the preseason matches of the league. The two companies are also seeking ways to generate revenue from fans by offering special perks and selling in-game exclusive merchandise. Fans can also root for their favorite Overwatch League teams by buying virtual applauds – “Cheering” by Twitch and “Cheermotes” by Overwatch. The deal is likely to make Twitch’s presence strong across markets like Korea where local streaming services have dominated the e-sports arena. China with the biggest e-sports viewership, however, misses out of this accord and IHS analyst Piers Harding-Rolls predicts an independent announcement for the country. Harding-Rolls highlights that the announcement just a day before the six month-long league commences might have “impacted the negotiations by teams for sponsorships“, and could cause League viewership on Twitch to be lower initially, picking up gradually as word spreads. Though one expects Twitch to promote this tie-up heavily across all its channels. Overwatch is one of the most popular multiplayer titles with 35 million global players and Activision-Blizzard has dedicated every effort to promote the league which is expected to be a huge event for the e-sports industry. “The Overwatch League is making a major impact on esports by reshaping the industry with city-based teams,” said Kevin Lin, Twitch’s COO. 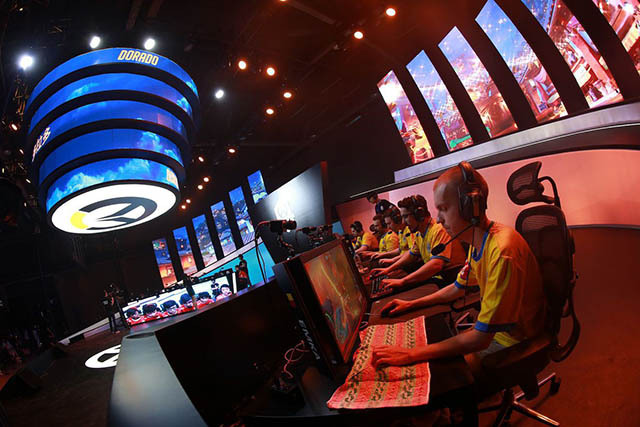 Tickets and fixtures for the Overwatch League, which will run until July in Los Angeles at the Blizzard Arena, are available on the official website.